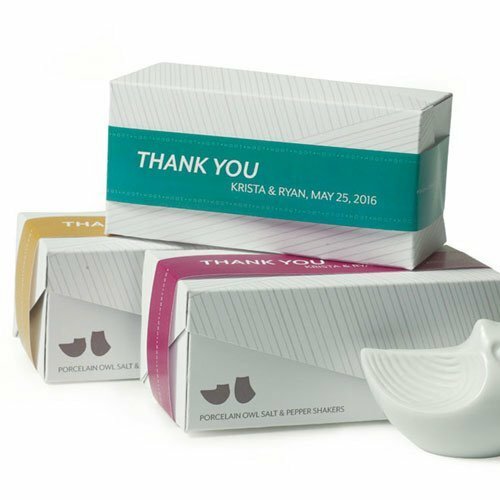 Add a personal touch to your Mini Owl Salt and Pepper Shakers (sold separately item 9403). Paper wrap ribbon includes 2 lines of text to include your message of thanks for your guests and to commemorate this special day. Sold in sets of 16, each paper wrap measures 10.75" x 0.75" and is available in your choice of 3 bold colors.